New release of Android SIP client is available. 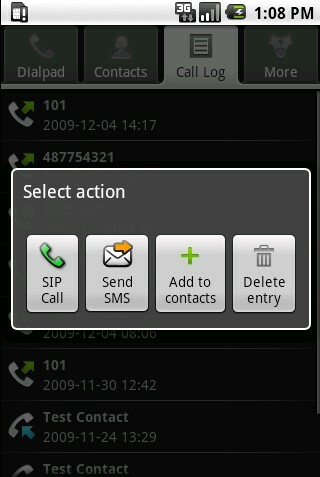 New features are support for SMS over SIP and voipswitch’s callback which enables user to connect two phone numbers with each other. The callback interface shows information on the each leg’s status in real time. User can define the callback method, whether the leg A is connected first or both the legs are dialed simultaneously. The callback is triggered over data connection. Sending and recieving SMS can work with other users as well as with external GSM networks through voipswitch which translates SIP messages into required protocol (for example SMPP or http). 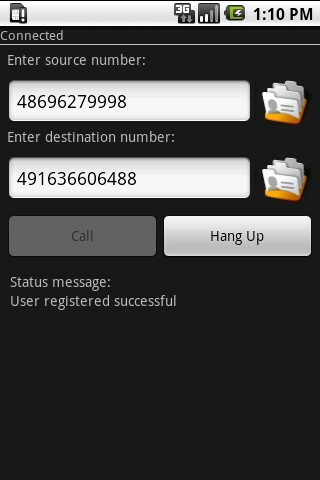 Text messages sent to a user which is offline are stored on the server side. After user logs in the stored messages are sent immediately to the user. Please contact our sales@voipswitch.com to test a demo version.